Versatility: a trait that when forced, more often than not, suffers from feeling exactly that way. Historically this is an issue David Bowie has avoided for the most part—especially during his 70s peak. Unlike a number of the artist’s contemporaries, Bowie has, rather effortlessly, traversed the ins and outs of various trends, fashions, and genres over the past four decades. Very few artists can straddle both the uber-mainstream that is American classic-rock radio and the icy proto-punk landscapes explored with Brian Eno just a few short years later. But Bowie did, and did it well. 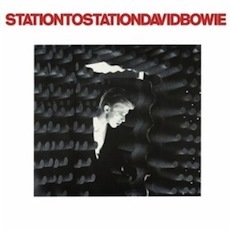 Station To Station, the 1976 studio album that bridged Bowie’s plastic-soul phase with the Berlin Trilogy, has just been reissued in grand fashion. Why should you care? For a numbers of reasons, actually; for if one strips away all of the outside ephemera surrounding the making of the record (the drug use, Bowie’s fascination with the occult, the Nazi fetishism, his days/nights in Hollywood) and focus on the actual music you will find a recording that is a near-perfect synthesis of the r&b muse Bowie had been chasing the previous year, on Young Americans, and the influence of Neu! and Kraftwerk that would come to dominate his next three releases. This melding of soul and r&b rhythms, coupled with Bowie’s burgeoning interest is krautrock, make for a highly original entry into the Bowie canon. Ten albums in and he was still reinventing both himself and his music. Think about that for a minute. Additionally, for Bowie enthusiasts, the album has long served as an interesting historical document in the career of the artist. Station To Station, and the following tour, introduced Bowie’s last great character, the Thin White Duke; a persona described by Bowie himself as “a mad aristocrat, an amoral zombie and an emotionless Aryan superman.” While it can be argued, for or against, that it is this persona that embodies the wealth of Station To Station, proper, it was indeed The Thin White Duke who took the album on tour as evidenced on the reissue’s inclusion of the 1976 Nassau Coliseum concert. For those already in the grips of Station To Station it is this inclusion of the Nassau concert that makes the reissue worthwhile. The touring band, song arrangements and sound are all ace. Frankly, in relation to previously (commercially) available Bowie live recordings, I’m surprised the powers-that-be waited until 2010 to unleash this beast on the public. As Bowie himself crooned, “It’s not the side effects of the cocaine / I’m thinking that it must be love.” Indeed. Reissue: The 3 CD Special Edition box features: the original remastered album, the previously unreleased ‘Live Nassau Coliseum ’76’ concert (on two discs), a 6-page booklet documenting the atmosphere surrounding the recording, and 3 postcards. Also available of vinyl. I caught shows on the original Station to Station tour and the live Nassau set is the reason to pick this package up. This live set has been floating around for decades but its nice to have it all cleaned up and complete. One thing I do point out is that the S2S shows were pretty short for that time (about 70-75 minutes), which left people definitely wanting more especially given that there was no opening act. Also the previous Bowie tour (Diamond Dogs) lasted a couple of hours. The tempo on Panic in Detroit and Diamond Dogs were breakneck so one could easily get the impression that Bowie was plowing through the set as fast as he could but the show. However the level of musicianship and vocal quality on offer was quite high. The “white lights” and general presentation were impressive and if you didn’t see it then you its a pity. Wish they had released live video footage but it would have been hard to capture the impact of the white light setup. I bought this last week, I had read about Station to Station, but never heard it. What an album, and the live CD is fantastic. I have most of the Ziggy CDs, and the “Berlin” trilogy, but had missed out on this album (and Young Americans). But…better late then never, and I’m glad I bought this reissue. This has become one of my all-time favorite albums! I need to save some money so that I can buy this awesome re-issue package! 3 vinyl + 3 cd set! Ack!